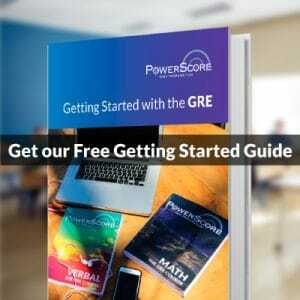 Many students are likely aware that since 2011, the GRE General Test has permitted use of a calculator, not any old calculator, but an on-screen calculator that is part of the GRE software. This four-function calculator is invaluable for performing rapid arithmetic and basic calculations. It is not helpful as a substitute for problem-solving skills, strategy, and good planning. In other words, you almost always cannot simply plug numbers into the calculator, press a button or two, and achieve the correct answer. As someone who had long gotten used to teaching for the old GRE, old habits died hard for me. When I set about solving GRE problems in class or while tutoring students, I would almost always eschew the calculator because I found it mostly a cumbrous inconvenience, not essential for basic arithmetic and often more of a distraction than an aid. There are actually GRE problems that involve sufficiently unwieldy arithmetic as to benefit tremendously from use of a calculator. When you have to divide 19,683 by 27, you could do the long division, but most would agree a calculator would be faster. When you have to perform several small calculations in a row, a calculator can help to keep track of your progress and keep your math organized. You still have to make sure you’re inputting data correctly, but you don’t have to stress as much about making a small arithmetic error that throws the whole process off. You might be using good problem-solving techniques such as Substitution or trying out different values on the Possibility Matrix™ and wish to use values that don’t lend themselves to easy arithmetic. In these cases, the calculator is also indispensable. In this post, I would like to highlight another, often overlooked tool that can dramatically improve the effectiveness of your calculator use: the 10-key numeric keypad, found at the right hand side of desktop keyboards. Anecdotally, many GRE students do most of their computer work on laptops. If you’re reading this on a laptop, you might notice that your keyboard likely does not have a numeric keypad, or it might be superimposed over other keys as a secondary function. If you plan to use your laptop for GRE practice, it is highly advisable that you plug in a separate, full-sized keyboard. First, besides the keypad, this keyboard will be similar to the one you will need to use to write your two essays for the Analytical Writing Measure. Second, because of the need sometimes to do several sequential calculations, it is disruptive and difficult to perform these calculations by clicking on the onscreen keys with the mouse. Last, use of the keypad actually takes practice. There are data-entry classes dedicated to teaching rapid 10-key input! Small Skills Can Make a Big Difference! We might question how important the calculator or numeric keypad is to success on the GRE. While it is important not to overstate their significance (most problems are solved most effectively without the calculator), it is equally important not to underestimate these tools. When you’re dealing with a time crunch and the pressure to solve problems quickly and accurately, you must take full advantage of every tool at your disposal. To do so, you must practice in advance. The CBT is an aspect of the test that is in some ways difficult to replicate when not using software for preparation, but whatever you can do to remain aware of this system will help you prepare more effectively ultimately to give yourself a competitive edge on the actual test. 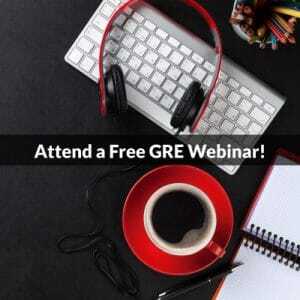 Lastly, I strongly encourage you to register for our free GRE forums and get expert answers to all your GRE and grad school admissions questions. Thank you!